The Supreme Court of Canada said it will announce on Thursday morning whether it will hear an appeal from the Toronto Real Estate Board that would keep TREB's members from publishing home sales data on their password-protected sites. 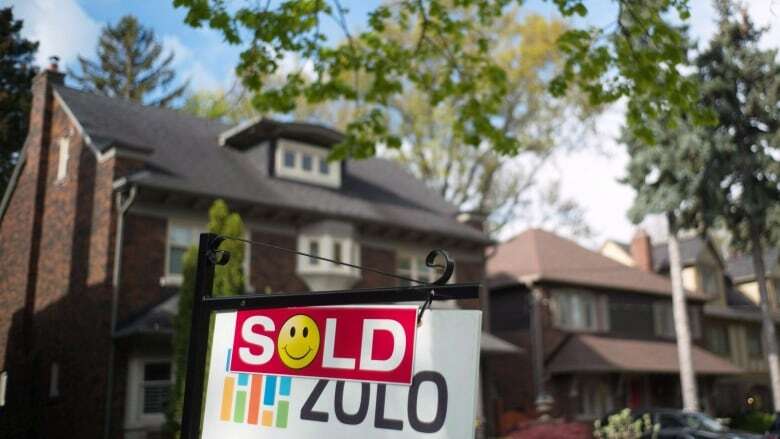 The end might be near for a seven-year battle that has kept the public from easily finding sales data for homes in the Greater Toronto Area. The Supreme Court of Canada said it will announce on Thursday morning whether it will hear an appeal from the Toronto Real Estate Board (TREB) that would keep TREB's members from publishing home sales data on their password-protected sites. TREB's fight began in 2011 when the Competition Bureau, a federal watchdog designed to protect consumers by investigating business policies and mergers, challenged TREB's policy preventing the publication of such information, saying it impedes competition and digital innovation. TREB, Canada's largest real estate board which represents more than 50,000 Ontario agents, argued at the Competition Tribunal that posting that data would violate consumer privacy and copyright. The quasi-judicial tribunal ruled in the bureau's favour in April 2016 and later the Federal Court of Appeal upheld the tribunal's ruling, so the board recently headed to the Supreme Court to try to protect the data. Those currently seeking home sale data usually turn to real estate agents and brokers, who have access to the Multiple Listing Service database, where sales data is compiled when deals close. Others rely on online property value services like Teranet or local land registry offices, which charge a fee for the public to access sales data. TREB refused to comment on the forthcoming decision, but a spokesperson for the Competition Bureau said if the Supreme Court dismisses TREB's request to appeal the decision, it will be "an important win for consumers." If the Supreme Court refuses to hear the case, real estate lawyer Alan Silverstein thinks TREB will have likely exhausted all the ways of fighting the publication of the data. "I would think this is the last straw," he said. If the data is made available online, buyers and sellers will be able to more easily educate themselves on how to price homes and negotiate and won't have to rely on real estate agents for getting information, said Silverstein. The case also stands to affect real estate businesses that have held back publicizing sales data, including online listing site REW.ca. In mid-May, REW.ca started making British Columbian data available online, but general manager Allen Moon said TREB's court battle has made it difficult to bring the service to Ontario. He sees TREB's fight against publicizing data as "a defence strategy to protect the industry" from losing business to innovators and said it prevents transparency around the biggest investment most people will make. "[When] I want to buy a laptop or a TV, I can do a price comparison and see what they are selling for, but when I want to buy a house — something I will probably be in debt for or pay a mortgage for for the rest of my life — I have to trust someone else for that information and trust that I am getting the full picture," he said. "It shouldn't be this hard in an on-demand generation, where everything else is accessible." REW.ca's B.C. sales data launch took five years to arrange, mostly because the province's datakeepers wanted the company to demonstrate that it would be "good stewards of data," but also because realtors feared the public would misinterpret such numbers, said Moon. He's found Ontario's real estate industry to be even more resistant toward those wanting to publish data because he believes the sector feels the data gives them an edge and widening access to it would put their revenues at risk. Lauren Haw, the chief executive officer of real estate site Zoocasa, said several companies have already published such data quietly, but they have been served with cease-and-desist orders by TREB. Zoocasa, which is a TREB member, will make the data public if the board allows it because Haw thinks it will make buyers more educated earlier on in the buying process. She doesn't think increased transparency will negatively impact the industry too much because a similar U.S. battle caused little turmoil for realtors and "being the keepers of sold price information is not what we see is the value that an agent brings to the transaction." "Any agent that feels that their only reason for being is providing sold data won't survive long in this industry."